Covered CA Cancels 4,100 Health Net Subscribers! HomeCovered CA Cancels 4,100 Health Net Subscribers! We have received a communication from Health Net CA regarding plan terminations from Covered California. According to the e-mail, Covered CA has cancelled over 4,100 current Health Net subscribers effective 12/31/14. No one knows how or why this has happened and I have not heard of this issue with any other carriers at this time. Since Health Net has no agent/broker information for the 4,100 plans, they will be calling and e-mail those who are being terminated. 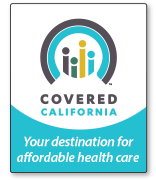 According to Health Net, cancelled members must re-enroll in health insurance via Covered CA as a new user through Covered CA (www.coveredca.com) and select a new health plan for 2015. Cutoff to enroll is Sunday, 12/21/14 for coverage beginning January 1, 2015. If you are a Health Net member via Covered CA, I would suggest you check with Covered CA and/or Health Net to verify whether or not you are one of the cancelled subscribers.